Spring forward is a dirty trick! I woke up nice and early this morning thinking I had plenty of quiet time before having to hit the gym and dash out to get the day going, then looked at my computer clock and remembered we lost an hour. Not fair! 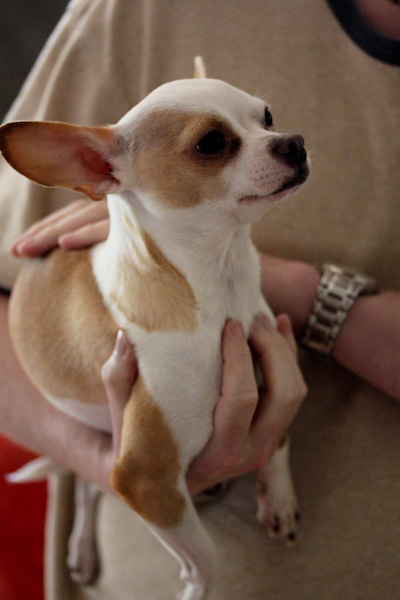 But Miko doesn’t seem to care, life is one big weekend to him and he was nice and relaxed in hubby’s arms yesterday. 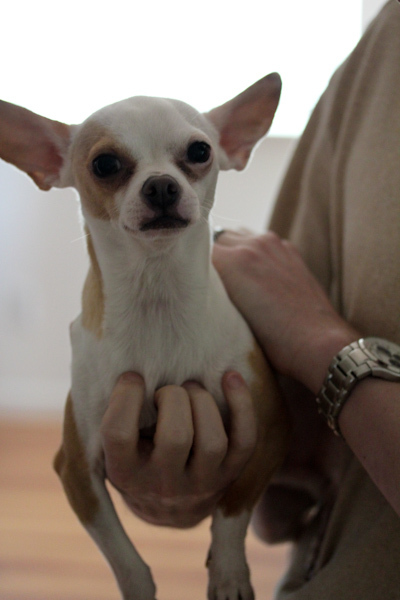 He gets in this zen-like hypnotized state when we’re carrying him around like this is the life. Why can’t I get that relaxed? Think I need to try meditation. 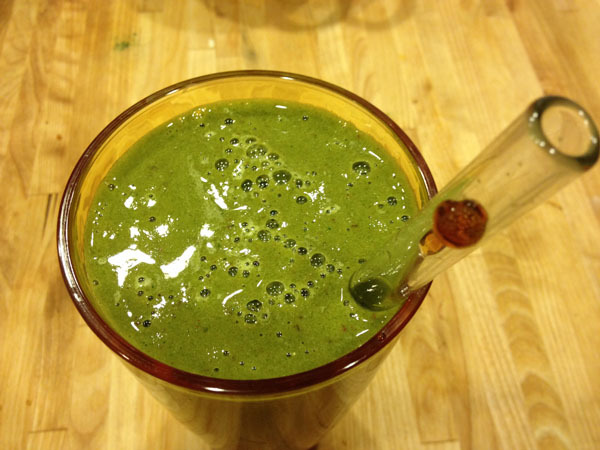 Yesterday morning I had a green monster protein smoothie for breakfast before a hard 7-mile run. I had to get the run in, but our weather this weekend did not make that easy! Very windy yesterday and the forecast showed lots of rain today. So I gambled and ran it in the strong wind yesterday and it felt like I was running against it or in crosswinds during the entire loop, how is that possible? When I got home, my legs felt like mush and I’m really feeling it this morning. And my pace took a huge hit because of it, I hope the weather is nothing like that for the half-marathon. 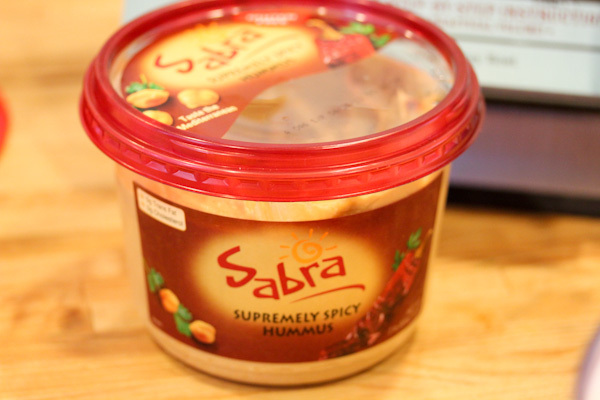 I opted for a simple, lazy lunch after such an hard run and dived into the jug of spicy Sabra hummus I picked up cheap at Costco. 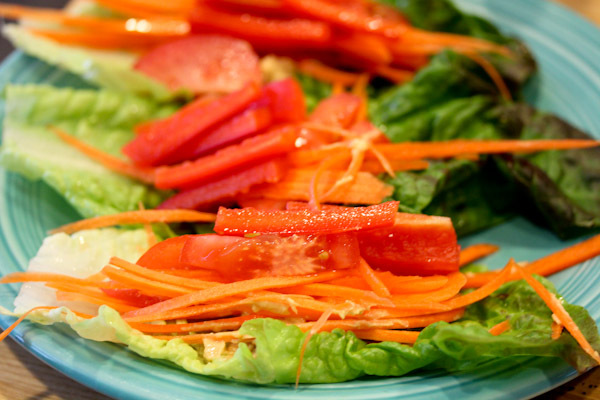 Creating stacked, open-faced lettuce sandwiches layered with romaine lettuce, hummus, carrots, tomatoes, and red bell pepper. Not too exciting, but simple, fresh, and fun. After showering and catching up on some chores, we headed out to catch a movie – Friends With Kids. Overall it was funny and witty, worth seeing in the theater. But a little loose at the end. 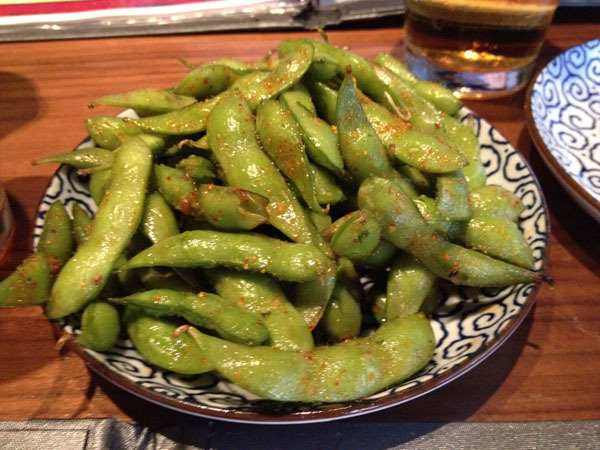 Then a serving of spicy, garlic edamame – greasy, but good. And an avocado, tempura, asparagus sushi roll that is probably one of my favorite vegan sushi rolls. It seems the vegan rolls at so many sushi places are plain compared to the non-vegan options, they’re not layered with sauces and usually have just one of two veggies inside. This one had a crunchy texture from the tempura inside and a lot of zing from the sauce, green onions, and avocado on top. Loved it! 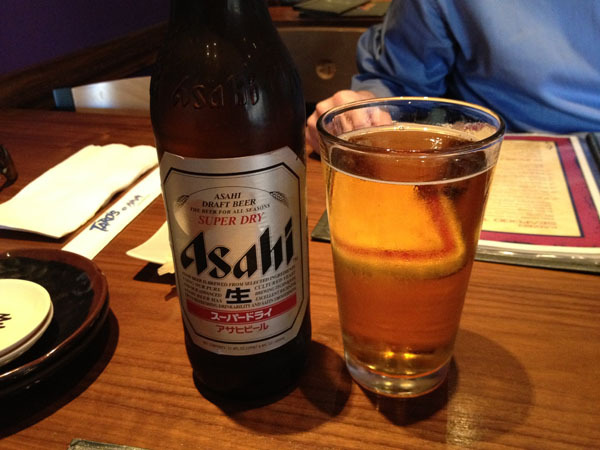 Great job on the run…now take a load off for the rest of the day! Thanks, I’m still feeling the run and it’s supposed to be windy and rainy most of this week – ugh! 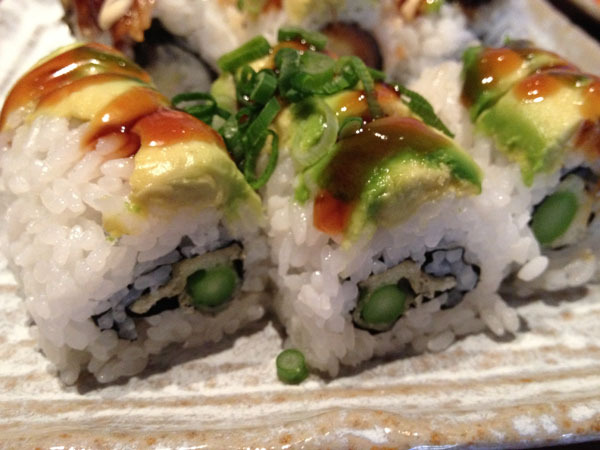 Yum on the sushi rolls – I have such a weak spot for vegan sushi! Definitely a personal fav of mine! Me too, sushi was one of my favorite back in my non-vegan days and I still adore vegan rolls.